We already took a look at what to do as a tradeshow attendee. 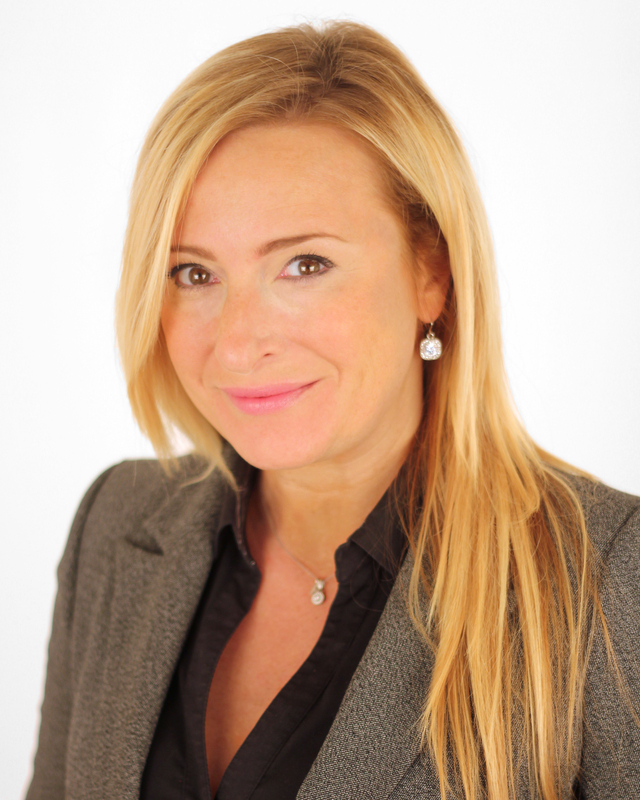 Today, we’re following up with her tips on exhibiting at a tradeshow. “Think outside the box to set yourself a part from the clutter,” Imre suggests. Get creative with your giveaways and other engagement tools not only to draw attendees to your booth, but to also keep them there. Keep things interesting with spinning wheels, games or other contests. Photography courtesy of Jake Bibler, Mavella Photography. Every tradeshow is different. Keep your audience in mind in order to target them with the information they are looking for. Are they mostly men? Mostly women? Are you at a family event or a business event? What region is your audience coming from? A good example of targeting came from one of our audience members, The Roots Chiropractic. They explained that they were exhibiting at a family festival and offered entertainment to the kids. This allowed them to have a brief conversation with the parents waiting for their kids to play the game. Keep the Host in Mind. Don’t be afraid to ask for a spot at the tradeshow. 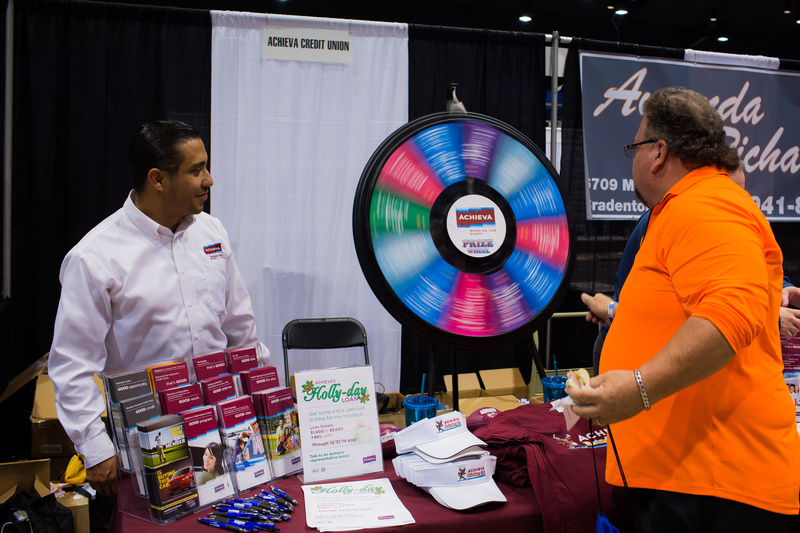 By registering for this year’s Chamber Expo before September 15, you will have the opportunity to pick your spot at the event. Whether you want to be near the bar, against the wall or in the middle of the room, build a good repertoire with the hosts of the tradeshow. A solid relationship with the hosts provides you with the best chance to ask questions and get the greatest benefit from your experience. These days, most tradeshow attendees know they will be walking away with something in their hands. Whether you’re handing out tchotchkes or raffling off a prize, people love anything free. Raffle your product or service to a lucky visitor at your booth. This allows you to collect contact information and give the winner a “taste” of who you are. Imre understands that not all businesses have a product to giveaway. If that’s the case, don’t be afraid of using gas cards or gift cards. Or, go to smaller businesses in the area who might not have the funds to set up a booth at the tradeshow and ask them for donated items or gift certificates to giveaway. Handing out tchotchkes? Think of something that gets people to say “where did you get that?” Anything from coffee mugs, letter openers, screen wipes, calendars, calculators, water bottles or any other handy items with your logo and contact information, will connect those attendees to your business. While you’re at the event, make it count. You’re investing time and money, so you want to receive the greatest benefit. Talk to other vendors. Imre strongly suggests to avoid looking bored, it’s contagious. Greet every guest at your booth with a smile. Thank them for stopping by, even if you know they were just there to pick up your tchotchkes. Make them feel special. They may not be a customer now, but they can be in the future. Keep your mind open, you never know who you are going to meet. Your tradeshow exhibition isn’t finished at the moment you start cleaning up. Follow up with your new contacts to thank them for coming to meet you. Imre highly recommends hand-written thank you notes. This helps your contacts feel respected and remembered. When your clients trust and respect you, they are more likely to refer you to others. The next time you exhibit at a tradeshow, apply these tips in order to make the most of your experience. Looking for a tradeshow to test your skills? Join us and the Manatee Chamber of Commerce at Chamber Expo 2015 on November, 5. 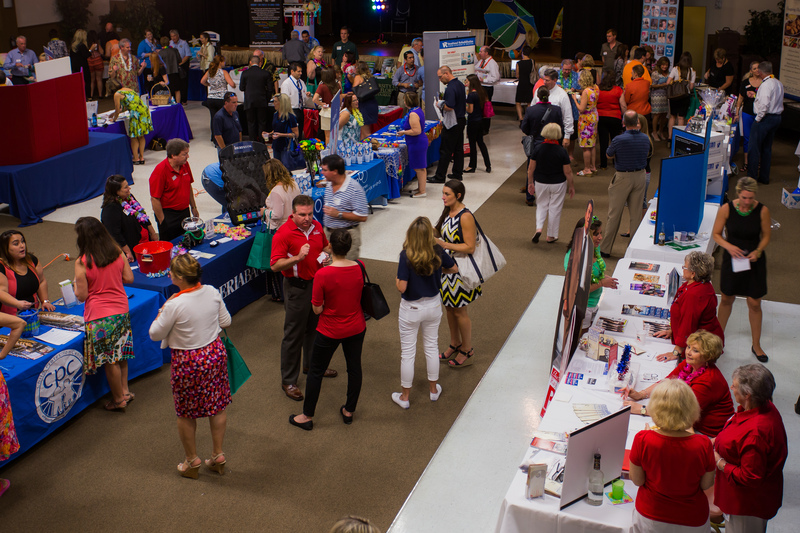 Chamber Expo is the area’s largest business after hours tradeshow event, targeting both Manatee and Sarasota counties at the Bradenton Area Convention Center. Visit our website for exhibitor information or contact Brittany Lamont at blamont@sarasotachamber.com for more information. This is part two of two posts in the Make the Most of Your Tradeshow series. To learn more about attending a tradeshow, click here to read part one. Previous Post Non nobis solum nati samus. Not for ourselves alone are we born.